You want your company to be well-represented online. But you're busy and you don't have time to learn web design or code. We listen closely and work with you to determine what you really need versus what you think you need. We'll recommend concrete solutions. Maybe something as simple as an open-source based website that you can set up and edit yourself with minimal involvement from us. Or maybe you really need in-depth custom code web applications that satisfy a specific need your company has. Whatever the answer, we value you as a client, value your time, and value your input in the process. At our initial consultation, we'll sit down with you and advise you on next steps — whether they be with us, on your own, or (gasp) even with another provider that better fits your situation. We do a lot here at Javelin and we do it well, but we know our limits. We don't think short-term; we value our customers, and future customers they might refer. We truly put our name behind out work and sleep well at night. So go ahead and explore our site, check out our samples and case studies, and call or e-mail us when you're ready to talk. We listen, we advise, we help. Javelin Design traces it's roots way back to 1996... a time when Microsoft held a logo design contest for their new "Internet Explorer" browser…a time when most links on the web where bright blue, and websites were basically online brochures and little else. 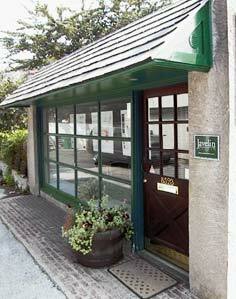 Javelin was founded with design at it's core. Owner and project manager Jay Valinis has a professional background in graphic design, but a passion for all things digital. 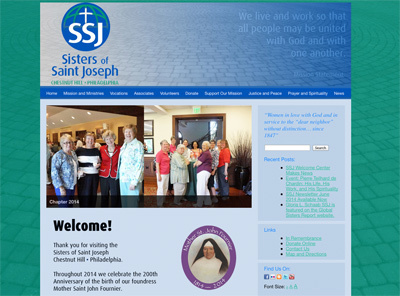 A perfect marriage was formed: a company with the know-how to create professional websites while keeping aesthetics at the forefront. For sites that actually “do” something, we specialize in back-end development. If you have a particular function you need, we’ll sit down to discuss your best options, suggest functionality you may not have thought of, create static mockups, functional wire-frame mockups and finally, well-designed, professional back-ends that serve you and your customers. Visit our Case Studies page for examples of just what we mean. Very often clients don't know exactly what they want. No worries. We're happy to sit and listen to your checklist. Sometime we know we're the best solution, sometimes we know that an off-the-shelf product can give a client most of what they are looking for. Sometimes it's best to recommend you use a firm other than Javelin. We'll be honest. We create websites. Whether large or small, complex or simple, we'll work with you to help your business achieve its online goals. Over the past 15 years we've seen and done pretty much everything--simple html-based static "brochure" sites, custom-designed WordPress themes, or custom-developed web application back-ends that satisfy exactly what the client needs with no additional bloat. With our skilled developers, Javelin creates custom back-end application environments for clients that need tailored solutions that "do" something more. It might be a simple customized membership form that has a variety of notification/payment options or a completely overhauled work- and time-tracking system. Javelin will listen to your needs and develop the perfect solution. We'll create a system that gives you everything you're looking for but nothing more--no excessive functions that serve no purpose, nothing extraneous that can weigh down the site's performance. It's a bit of a divergence from our normal workload, but we've found a very specific need for robust, well-designed graphics for courtroom use. So Javelin creates and produces everything in-house, from simple black and white enlargements to customized magnetic boards with markers—anything attorneys need to best illustrate their case to judge and jury. At the core of our proficiencies is a good eye for design. A strong sense of design and color theory permeate everything we create, from a simple logo development to complementary colors and a well laid-out user interface. We've worked with a lot of clients — from small mom-and-pop retailers here in Philadelphia, to large international corporations and everyone in-between. What unites them all is the desire to create a web presence or application that adds value to their business. Whether it be a simple WordPress-based site with a custom-developed theme or a custom-tailored time/materials back-end for tracking employee hours with real-time reporting, we listen to client's needs and create a solution that works. The following case studies illustrate some of the real life solutions we've found for client's problems. Please click on a project link below to view more details of each. 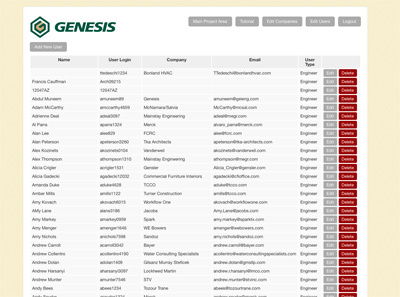 Upon individual login, contractors are presented with a list of project available only to them. They can upload files to folders, and depending on permissions - the file will show immediately or require admin approval before being displayed to others. 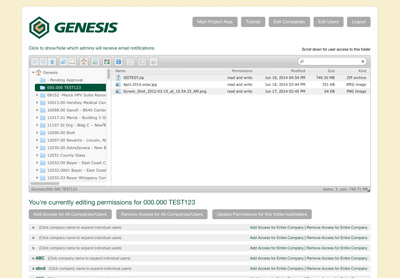 Genesis administrators can add/remove users and then assign users to any or all projects. There are no limits or per-user charges for this custom-developed system. 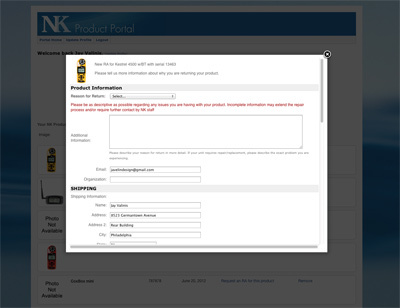 Using customer's stored personal information, the NK portal allows for entry of an RA with minimal input from user. 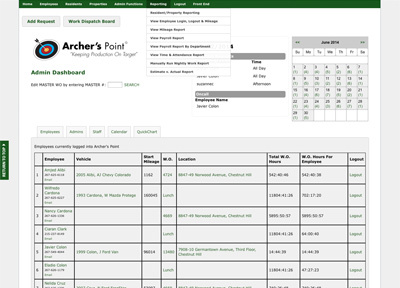 NK Administrators can easily view recent returns, reason for returns and more from one simple overview screen. 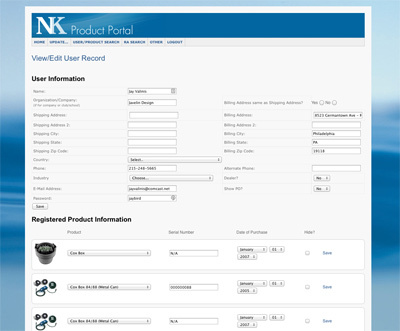 NK administrators can easily look into an specific user/RA as needed, update status, communicate with the customer through their dashboard and more. 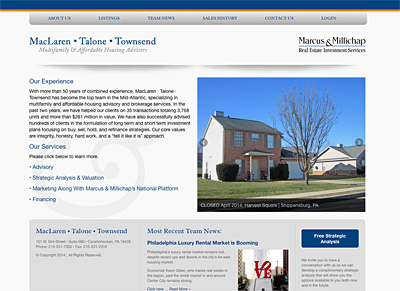 Custom WordPress theme showcases MacLaren's featured properies, latest news and more as specified by client. 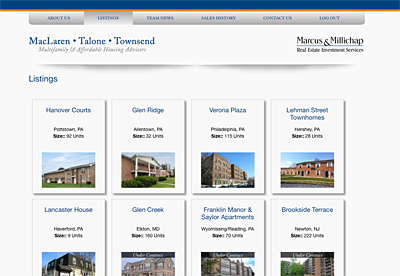 Javelin created a custom login for MacLaren's users which upon authorization, allows users to view any property listings that MacLaren approves. Logged-in users are free to view property details; the system records logins so MacLaren can follow up with interested users about properties. 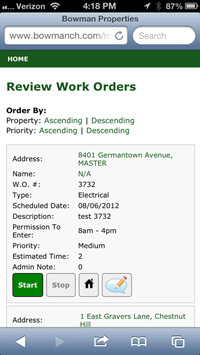 Workers in the field can log time on each job as they complete the task. 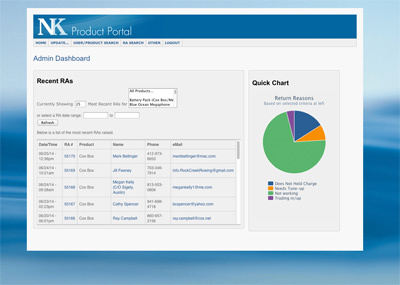 Logged time is immediately viewable to the administrator in a variety of custom formats and pre-determined reports. At a glance, administrators can see which work order an employee is working on, the vehicle they are driving, their location and much more. 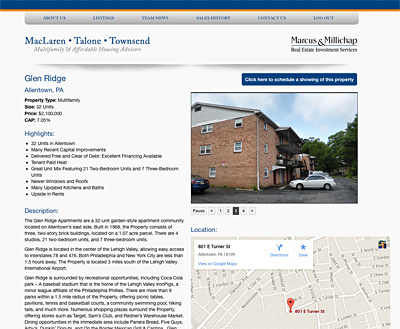 Tenants can log into their own portal to report concerns with their properties directly to Bowman. 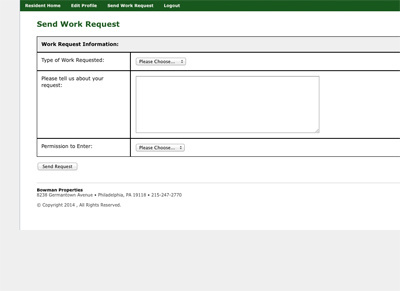 Requests get immediately entered in the system and assigned by admins to employees. No re-keying necessary. 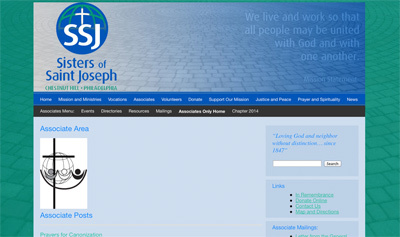 Custom WordPress theme showcases SSJ's recent news and is easy for SSJ staff to update as needed. Secured using a commercially available public plug-in that saved development costs, SSJ can now protect selected content behind a members-only security wall. 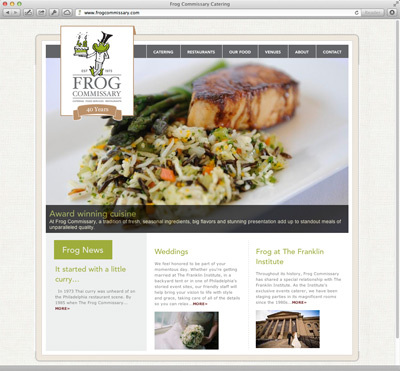 Frog Commissary's custom WordPress theme features an oversized photograph and description, along with a dynamic "News" area which showcases the site's latest blog posts. 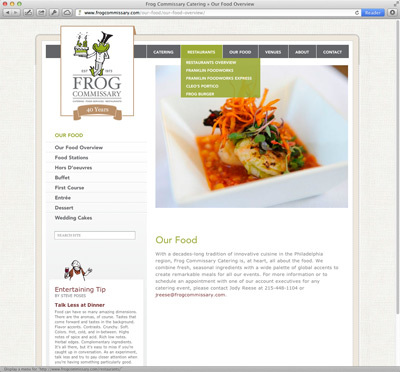 The core level of Frog's site features a very "open" design, custom category/page slideshows as well as an integrated side menu to allow the user to easily navigate between children pages. 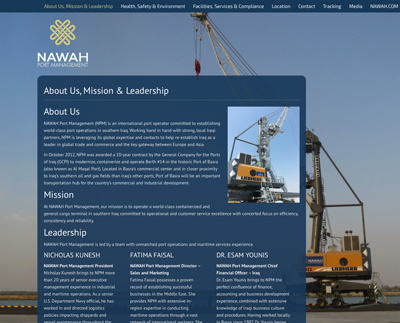 NAWAH corporate site home page with links to children sites. 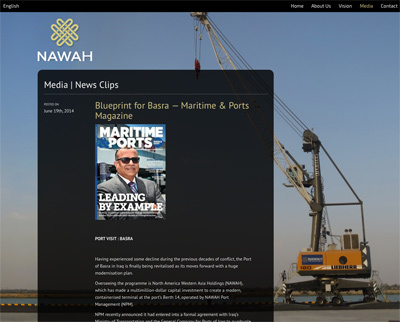 The NAWAH news page now correctly shows categorized news feeds and is easy for the client to update as needed. 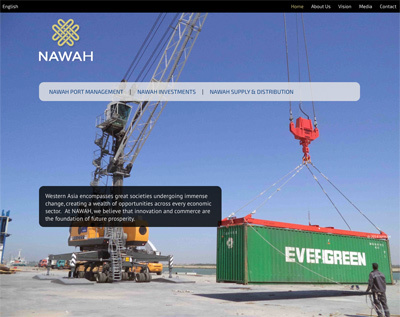 NAWAH Supply and Distrubtion is one of two NAWAH children site that carries a different, but related theme. Below are a few of Javelin's clients. We hope you'll join their ranks.